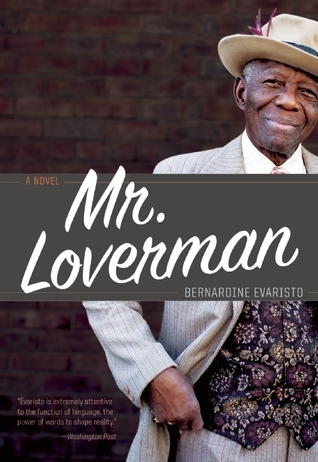 Mr Loverman, by Bernardine Evaristo, is set in London. It is a story about sexuality, race and relationships, but also a story about the sense of entrapment and oppression. Antiguan-born Barrington Jedidiah Walker, known to most as Barry, has done pretty well for himself since coming to England in the 1960s. He has been an excellent provider for his wife Carmel, and their two, now grown-up daughters, Maxine and Donna. Barry is an intelligent, traditional man, with some conservative views and somewhat noticeable taste in dressing. Don’t look for him in the kitchen – washing up isn’t his thing. Carmel, on the other hand, seeks solace in the church and enlists sympathy from her fellow worshipers. She keeps a clean house and always has a good meal ready for her husband. Barry’s absences from home; sexual rejection and secretive ways have convinced her that he sleeps with other women. In return, she physically and verbally abuses him. At 74, Barry has long come to terms with his sexuality and with the added pressure from Morris, his lover and best friend, for over 60 years, Barry decides the time has come to free himself; to bring an end to his forty-year old sham of a marriage to Carmel and escape from the accusing and judgmental eyes of his daughters. The story is told from the points of view of both Morris and Carmel. However, Carmel’s voice, written in poetic form, comes across like a critical yet honest eye looking over her shoulder. Early into the story, a family emergency takes Carmel back to Antigua, and while she’s away, events take a number of turns, not just for Barry, but for Carmel too. On Carmel’s return, Barry plans to finally confront her and make his escape. Throughout the story, the reader cannot help but feel both Carmel and Barry’s sense of fear, disappointment and pain. I found this book to be a real page turner. As well as marvelling at the turn of events, the reader is constantly anxious to discover whether Barry will develop the confidence and strength he needs to reveal his true desires and make his demands to Carmel. In addition, we are on tenterhooks waiting to find out how this feisty woman will respond to the ‘bombshell’. Mr Loverman, is published by Penguin (2013). Other books by Bernardine Evaristo are: HELLO MUM (Penguin 2010), LARA (Bloodaxe 2009), BLONDE ROOTS (Penguin 2008), SOUL TOURISTS (Penguin 2005), THE EMPEROR’S BABE (Penguin 2001), the first version of LARA (ARP 1997), ISLAND OF ABRAHAM (Peepal Tree, 1994).